A fantastic video about a special artist – in the modern age. I’m speechless! The feather and the ball fall with same speed? This guy is really astonishing! For me the bike reason goes from October 1st to September 30th. So yesterday was the last tour of the season, all tours still coming in 2014 will count to the season 2015 as “winter training”. The winter was “bad”, very lazy, didn’t do anything except for some “spinning” (term?) in the sports-center with our bike-club trainer. So the season had to start with Mallorca, which was really great. Also this year I had a lot of motivated and fit participants for the bike tours of the club… that was really a lot of fun. 7005 km total, 84 tours, average 84,4km / tour; more km than last years and more tours. More shorter tours (due to the additional Thursday evening, but fast ones). Already looking forward to the next season and a “golden autumn”. 25 years ago: Thousands of people from the GDR are trying to flee their country and have entered the embassy of the Federal Republic of Germany in order to get a VISA. German Foreign Minister Hans-Dietrich Genscher on the balcony of the German Embassy in Prague announces to the crowd of refugees what had been impossible so far… well only so far; although it is in German, you can understand… he cannot finish the sentence even. Seen a thousand times, but each time goose-bumps. For a few years already we discuss regularly to run a “mountain training” along the valley of Nagold. Finally yesterday we managed. My legs today tell me, that we completed successfully! Yes, there are of course several more climbs, but I selected 5 really nice ones and some of the steepest. 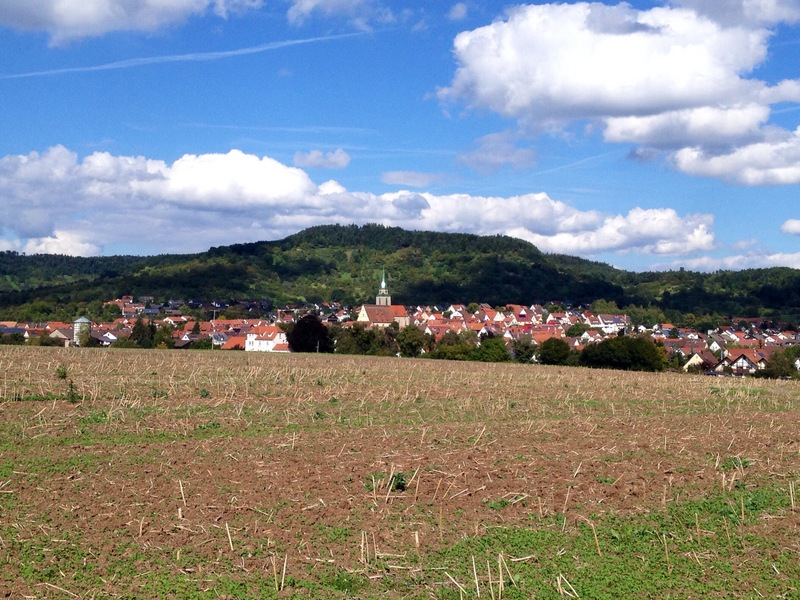 The first was just to warm up, from Dätzingen towards Calw. But then first bummer, the “Öländerle”, with 15-18% steep sections. But actually quite good to climb, as there are several steep sections followed by slightly less steep parts, followed with another ramp… several times. 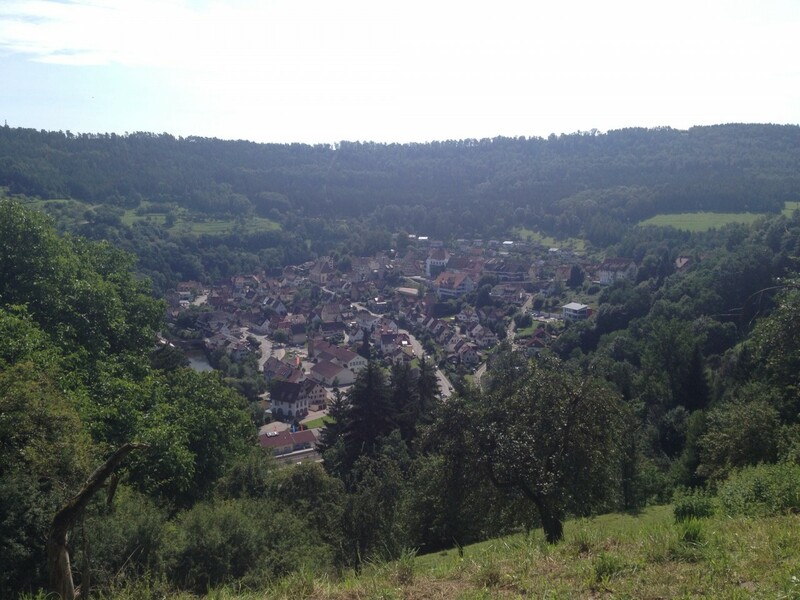 Reaching Stammheim for a quick flat part, the climb continues towards Holzbronn to complete hill number 2. First downhill again into the valley, and now up from Seitzental towards Altbulach. This is really nice to go, not quite so steep, I guess up to 12%. Once up, continuing in direction towards Wildberg, there is a fantastic view into the valley and over Wildberg. From here it’s already possible to see hill 4 (although not on the picture). Downhill to Wildberg we quickly cross the town on the bikeway along the Nagold river… but only shortly, as directly after the town the next hill starts left-hand of the regular bike-path: Hill 4 “Kühlenberg”. This is another bummer, starting with a normal climb, quite suddenly the steepness increases to 18% for several long ramps. Nice! The pure statistics doesn’t sound spectacular: 110km, approx. 1400-1600m altitude with average speed of 24 km/h, but the number of ultra-steep climbs makes this a really special one. I guess we should be well prepared for the “RTF” in Magstadt next week.